Where the heck did that last week go?! Time to leave London. 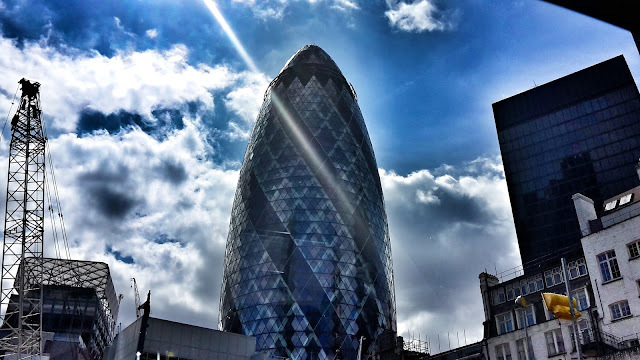 We headed out and took in the sites and I got my first glimpse of the Gherkin! Today I was a lady that lunches with the lovely Ali and the lovely Aly! 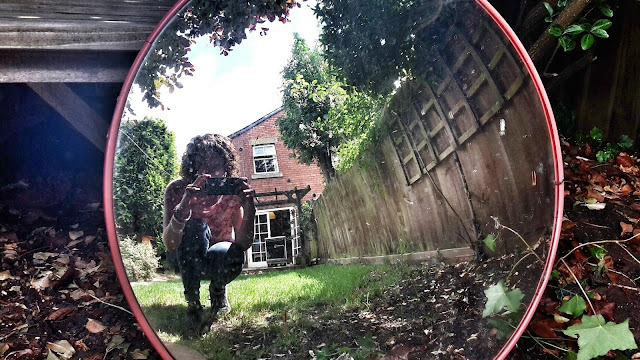 I love this mirror in Ali's back garden. 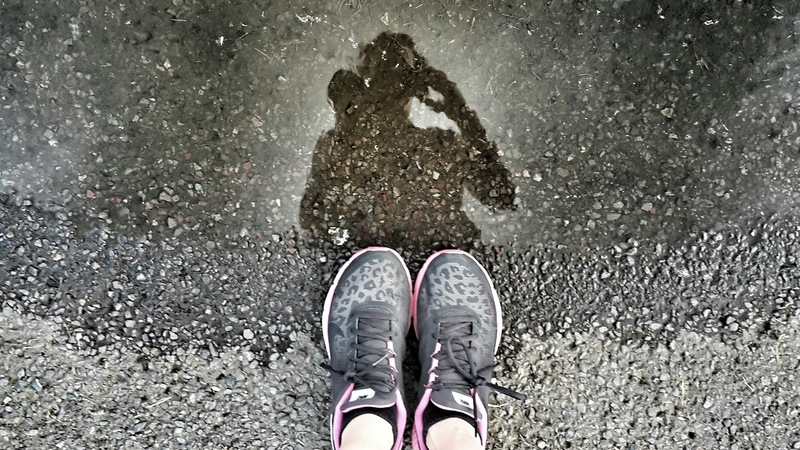 Mixed feelings with my run today - it was great to be out but my planned 8k was cut short when my knee niggles flared up at 6k. Am now resting the running and focussing on core strength and yoga. Very frustrating. 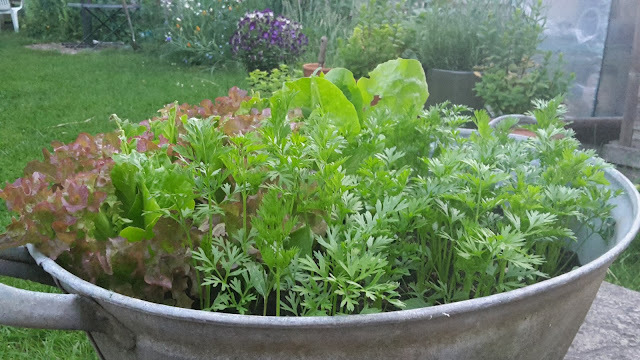 A late evening snap in the garden and the salad bath is coming on well. I spent some time in the garden with my girl tonight; she practised her cartwheels and I chilled on the patio. I went on a lovely walk today to the woods with lots of little people - we used CDs to observe the tree canopy and it was remarkably calming. 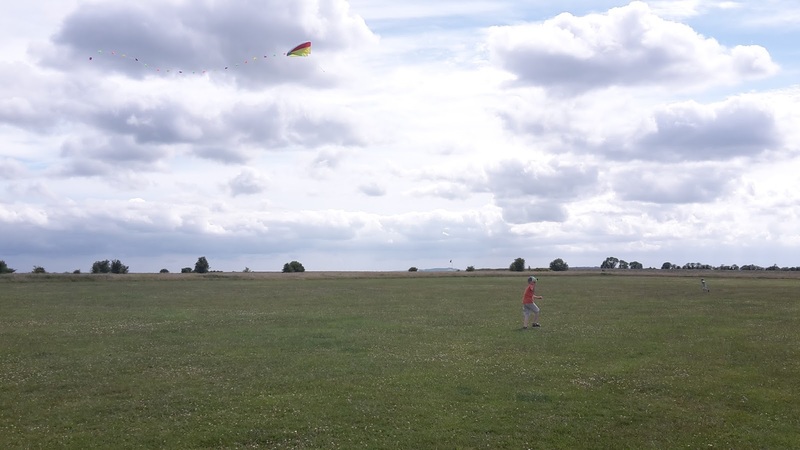 This afternoon following a morning of chores - and reading the papers in the garden - we headed up to the Westbury White Horse with the cafetiere and kites for a bit of downtime. What else do you need?! Love the photo of The Gherkin. Sorry to hear your run went wrong. 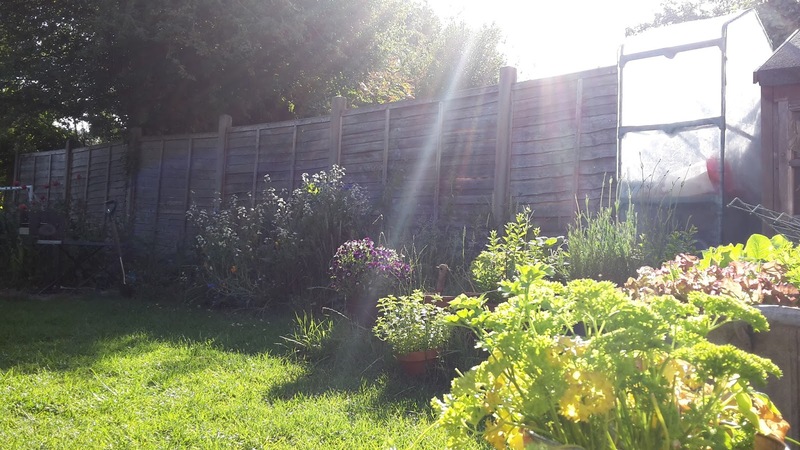 The light in your garden is beautiful. Great shot of the Gherkin, I saw it from a distance, but didn't get close enough for a photo :) That is a fab mirror and I love the idea of looking at the tree canopy with CDs! wow Viv your photos are stunning! I love the skyline and shades of blue in the London one, and the reflection one is so clever and capturing all those sun rays in the garden one is lovely. i dont think i have an cd's to take to the woods - sign of the times.. well unless i went for a hunt in the attic of course, then i might find my collection which hasnt been played in yonks. sorry went off on a tangent then! Very arty photos! Love the Gherkin image and the selfie with the round mirror. I never managed to get a kite to stay up with much success. 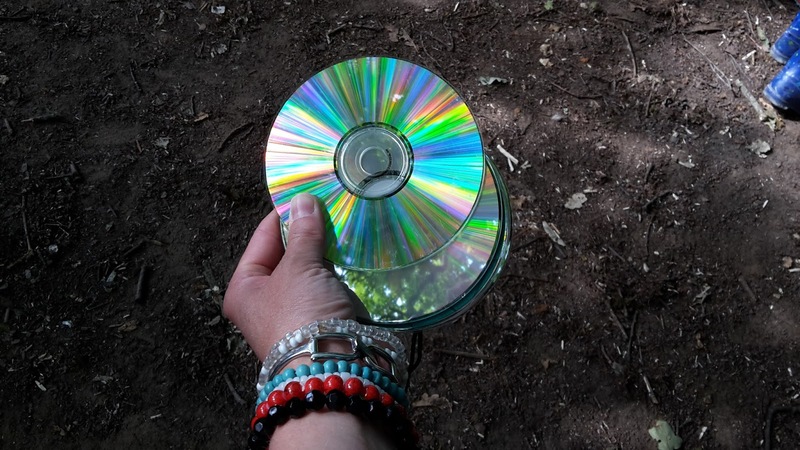 Loving all your arty colourful pics this week, the cd's being my favourite. The mirror is great, the street corners in Oban could do with some of these driving is a hazardous task. Oh dear at the run not going to well. It was lovely to see you last Monday :-) glad I moved the dog poo! *Laughs! Gorgeous photo's, I love the idea of looking at the tree's using the c.d's too!